"As a mom myself, I would do it in a heartbeat. Knowing what I know…" Mangurama Consciousness Film has debuted an official trailer for their new documentary Weed The People, a film about the power that cannabis has to help cope and perhaps cure some childhood cancers. The film focuses on and follows a few different families as they decide to use cannabis for their children, with numerous studies and tests to back them up. "Some of their miraculous outcomes beget the unsettling question at the heart of the film: If weed is truly saving lives, why doesn’t the government want people to access it?" The age old question, and even though we may have answers, that still doesn't change anything. Hopefully films like this, that take us right into the lives of the families affected, will make a difference in changing people's minds. Take a look below. Cannabis has been off-limits to doctors and researchers in the US for the past 80 years, but recently scientists have discovered its anti-cancer properties. Armed with only these laboratory studies, desperate parents obtain cannabis oil from underground sources to save their children from childhood cancers. “Weed the People” follows these families through uncharted waters as they take their children’s survival into their own hands. Some of their miraculous outcomes beget the unsettling question at the heart of the film: If weed is truly saving lives, why doesn’t the government want people to access it? 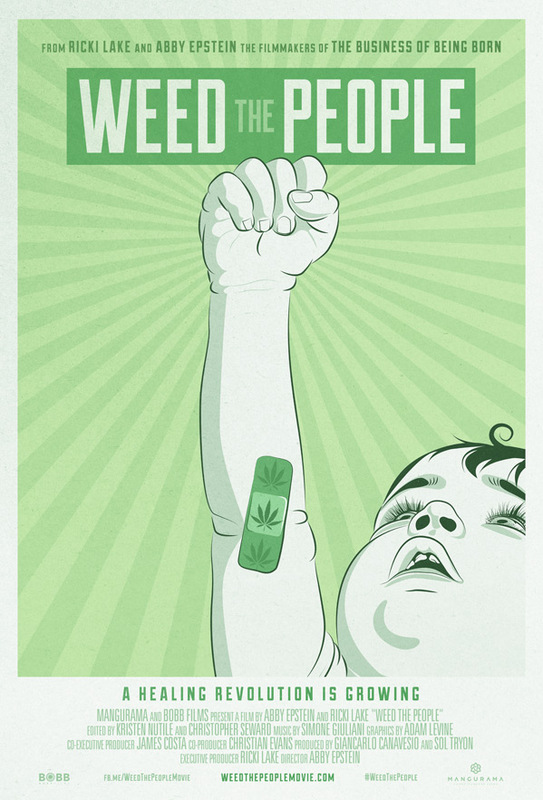 Weed The People is directed by filmmaker Abby Epstein, who also made the films The Business of Being Born and Until The Violence Stops previously. This first premiered at the SXSW Film Festival earlier this year. Mangurama will release Epstein's Weed The People in select theaters starting October 26th this fall. Who want to see this?